Dennis has had quite the time being the advance party for getting the Split Crow ready. The wind metre actually still works and he has been watching it constantly. In the Port de Quebec, the wind has been gusting to 45 knots. The new dock has broken loose so the marina crew has been working like crazy trying to secure it. There was a close call of all the boats crashing into each other…Dennis was sitting in the cockpit drinking his rum 🙂 when he noticed that one of the boats was moving. The dock had broken free so he ran over to the boat and alerted the owner who was down below and hadn’t noticed that his boat was on the move. So, he moved his boat over to another dock and then added many lines to secure it. The next day, the marina crew was out in full force adding chains, bolts and other things to ensure that the docks stayed put! 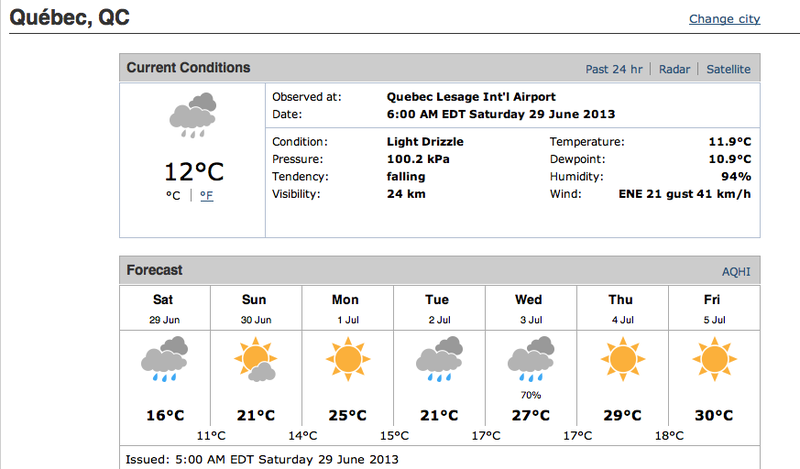 I do see that the weather is improving though (Quebec City forecast). We are hoping to bike over to the Montmorecny Falls – maybe on Monday when the temperature is supposed to be 27! We will take turns on Dennis’ folding bike with very small wheels. (I have a normal sized folding bike and use it a lot for groceries and sight seeing but his is brutal for going more than a five minute ride as I discovered on Pelee Island). We should be leaving Quebec on Wednesday or Thursday morning at about 3:00 am. 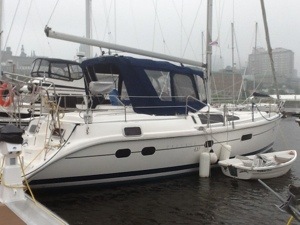 It will take us nine hours and we have to leave at high tide, so this will be a whole new adventure for me!